Living with old, drafty, outdated windows can be a drag. So, when the clear choice is to replace your current windows, make sure to turn to Clear Choice Energy Solutions for new awning windows. Since our founding in 1998, we have wowed La Crosse, Wisconsin, area homeowners with our striking array of industry-leading products and services, and we are sure our awning windows will impress. Hinged on the top with an opening at the bottom, our awning windows allow for excellent ventilation and afford you the ability to keep them open even in the rain. They are also often placed in a kitchen or higher on walls for privacy. And, they can be paired with other windows styles, such as picture windows, for better viewing. Yet, if vinyl awning windows are not for you, then don’t worry. Our mission is to make sure that our customers are completely satisfied, which is why we also offer composite awning windows. These windows feature hardwearing and low-maintenance frames and sashes, as well as high-performance glazing, insulation, and glass for maximum energy. Plus, we can also perform a pocket replacement on your existing awning windows if it is the best solution to meet your needs. 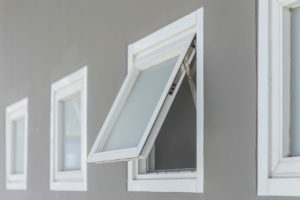 Ready to take the plunge and invest in new awning windows for your home? If so, then contact Clear Choice Energy Solutions today. We proudly serve all homeowners in La Crosse, WI, and surrounding cities.